The One:12 Collective Dr. Strange – First Appearance Edition captures the Master of the Mystic Arts at the very beginning of his path towards becoming Sorcerer Supreme. Inspired by Strange Tales issues 110-128, Dr. 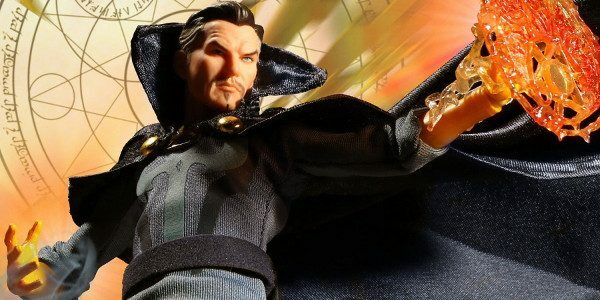 Strange comes complete with a magnetically attached cloak that has an integrated posing wire, a newly designed outfit inspired by his early appearances, and an array of mystifying accessories including an enchanted amulet, mystical cloak and a rotatable Orb of Agamotto with hinged lid. Each One:12 Collective Dr. Strange – First Appearance Edition figure is packaged in a collector friendly box, designed with collectors in mind.